Joan's Gardens: 3 More Days Until My Big Announcment!! 3 More Days Until My Big Announcment!! Your clue for today is "It is Slightly Gummy to the touch, but you can't chew it. Keep on guessing. I think by Thursday you will all have guessed it. The clues will get slightly easier each day. This sure has been fun for me and I hope for you!!! I would guess by these colors it might be the Glue Glider MAX! You will have an exclusive glue glider and refills in green! No pink, only green. I had another thought: the new mini glue dots n' go dispensers. to touch but you would "stick"
I think it is a new adhesive for the Glue Glider. I think it is the Glue Glider Pro with the four interchangeable cartridges. You all are proably right, but how about some clear/cling pink stamps? yeah! My guess is the Xyron 900 Creative Station machine. Hope that's what it is. I have to go with Glue Glider, too, but I think it is some kind of repositional glue or refill. Or maybe a vellum Glue Glider refill! I heard something about Post It Adhesive Craft Paper. This could be a huge help with the Cricut. Could it be the new "Wall Art Decor Adhesive"? They also have ribbon adhesive and mounting squares that I think are new. 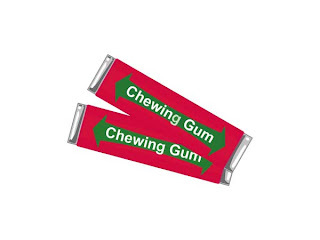 Ok maybe it is the Glue glider Pro, cuz it is pink and green and it is sticky. Is it a gummy adhesive? It saounds like the Glue Glider. Could it be Ribbon Adhesive? I think it is the new Post it Craft paper that is coming out.